The London-based Action Group for Palestinians of Syria (AGPS) has documented the death of 3,894 Palestinian refugees from Syria, including 478 women and girls, since 2011, as a result of war related incidents. Yarmouk Camp topped the list of victims with 1,408 casualties, followed by 263 in Daraa Camp, 202 in Khan Eshieh Camp, in Rif Dimashq, 167 in Aleppo’s al-Neirab Camp, and 123 in al-Husainiya Camp. 188 Palestinians also died in unknown locations while 1,543 others were pronounced dead in refugee camps and communities across war-torn Syria. AGPS found out that 1,198 refugees were killed under shelling; 1,063 were fatally gunned down, while 558 others were tortured to death in Syrian dungeons. 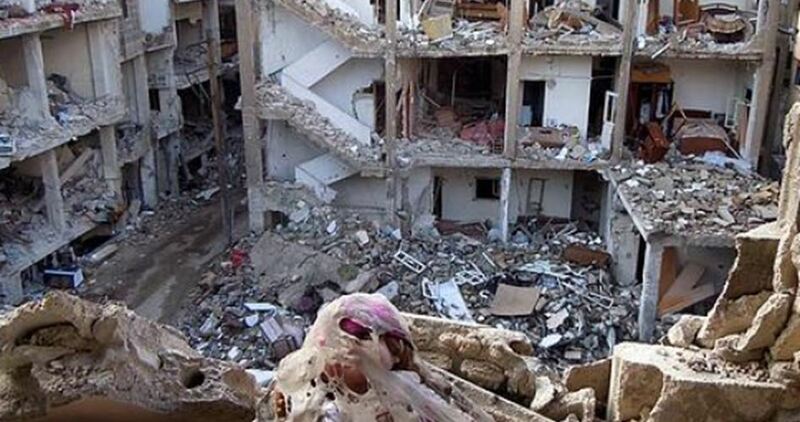 Scores of Palestinian refugees have also been left wounded in Syria’s seven-year deadly warfare. Dozens of displaced Palestinian families north of Syria continue to rally in Deir Ballout Camp, protesting their tragic living conditions in the poorly-equipped camp. The refugees urged UNRWA to live up to its responsibilities as regards dozens of hopeless families and to provide them with much-needed cash aids, medical items, and relief services. The refugees also appealed to the Palestine Liberation Organization (PLO), the Turkish authorities, and the international human rights institutions to take urgent action in order to tone down the abject situation endured by Palestinian families north of Syria. Palestinian refugees sheltered north of Syria have been enduring a tragic situation. Most of them have been crammed in underequipped tents and denied their rights to vital services and much-needed items, including heating kit. Rodents and insects have swamped the camp as a result of the poor hygiene. An acute dearth in bread has added bad to worse. The refugees’ stressed their commitment to their right to return to their motherland—Palestine—and retrieve their inalienable rights. They further lashed out at the sanctions imposed by the US President Donald Trump on the Palestinians as part of the notorious “deal of the century”. At least 320 Palestinian have sought shelter in Deir Ballout Camp. 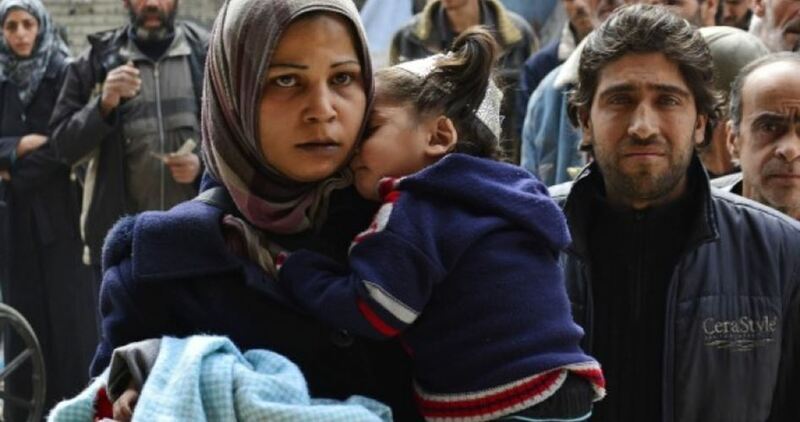 75 other families who were displaced from Yarmouk and have taken refuge in al-Shabiba refugee camp, in Izaz, in Aleppo’s outskirts, have been struggling for survival in the poverty-stricken area. At least 200 Palestinian refugees have been pronounced dead in war-torn Syria as a result the tough blockade imposed on Yarmouk Camp. President of the Syrian Coalition Abdurrahman Mustafa warned that any attack on Idlib by the Assad regime and its allies would lead to catastrophic consequences as the province is home to more than two million civilians, most of whom were forcibly displaced from other parts of Syria. He stressed the need for the United Nations to prevent any such attack. “The Assad regime and its allies sought to displace Syrian civilians to Idlib province. Turkey is seeking through political and diplomatic means to prevent an attack on Idlib as it is a guarantor of the ‘de-escalation zone’ in Idlib. Turkey is also the only country that is still on side of the Syrian people,” Mustafa added. The Kurdish National Council called for the commemoration of the second anniversary of the bloody terrorist bombings that targeted the town of Qamishli on July 27, 2017. The Council called upon its supporters and residents of the town to gather at the site of the bombing on Friday evening. In a statement, the Council called for the commemoration of the bloody attack, calling on residents of the town to gather in the western side of the town, at Amouda road. Vice-president of the Syrian Coalition Abdel Basset Hamo said that the bloody terrorist bombings that targeted Qamishli and its people were intended to instill fear and terrorism in the town. “The circumstances of the crime have not been disclosed yet, especially the way the truck carrying explosives reached the center of the town through checkpoints.” He hinted the responsibility of the Assad regime for the attack, along with ISIS. The Qamishli bombings killed dozens of people, including women and children as a result of a truck bomb explosion which also led to massive destruction to residential buildings. Hamo pointed out that he was surprised by the sudden emergence of ISIS militants in the center of the town after travelling long distances. He noted that the attack was accompanied by threats by the Assad regime against residents of the town, which he considered as a systematic policy to force the local population to surrender. Three terrorist bombings rocked Swaida on Wednesday and were followed by a criminal attack on villages and towns near the city. The attacks killed about 300 people. Hamo stressed that what happened in Swaida is similar to the one that took place in Qamishli two years ago. He strongly condemned the terrorist attacks, which he said were aimed at creating chaos and terrorizing the population. Member of the Coalition’s political committee Hawass Saadoun stressed the need to strengthen the spirit of solidarity amongst components of the Syrian people and to stand against all terrorist operations taking place in Syria. “We offer our sincere condolences to the families of the victims in Qamishli, Swaida and all other cities and towns where such explosions took place,” Saadoun said. He expressed hope that the root cause of chaos and terrorism in Syria, namely the Assad regime, will be defeated. President of the Syrian Coalition Abdurrahman Mustafa met with the Georgia’s Ambassador to Ankara Irakli Koplatadze and the Georgian General Consul in Istanbul Inga Kikvadze and discussed with them the latest political and field developments in Syria. The two sides agreed that both the Syrian and Georgian peoples suffer from the crimes being committed by Russia against civilians and its support for illegitimate regimes with the aim of preventing them from gaining their freedom and dignity. Mustafa pointed out that what is going on in southern Syria is like “doomsday,” adding that Russia is pursuing a scorched-earth policy against civilians to impose its conditions. He warned that the Assad regime and Russia are seeking to forcibly displace the local population of Dara’a just as they did in other areas in Syria. Mustafa denounced the Assad regime’s recognition of the independence of Georgia’s breakaway regions Abkhazia and South Ossetia as a violation of international law, expressing support for the sovereignty and independence of Georgia and its territorial integrity. “Over the past seven years, the Syrian people have been well aware of the Russian position and its operations aimed at killing others. What the Georgians are facing now is the same our people have been facing for more than seven years,” Mustafa added. Mustafa expressed his support for the Georgian people as he expressed hope that Georgia will do the same. The two sides reaffirmed their determination to strengthen bilateral relations and cooperation in a way that serves the interests of the Syrian and Georgian peoples. Mustafa called upon the Georgian government to appoint a special representative to Syria in order to strengthen the bilateral relationships and ensure continued communication.